If I had a nickle for every time I heard somebody say that they had to stop for gas for their car because they were almost on empty, I could probably buy my own gas station. Ever hear anyone say, "I almost ran out of gas on the way here because I didn't have time to stop?" 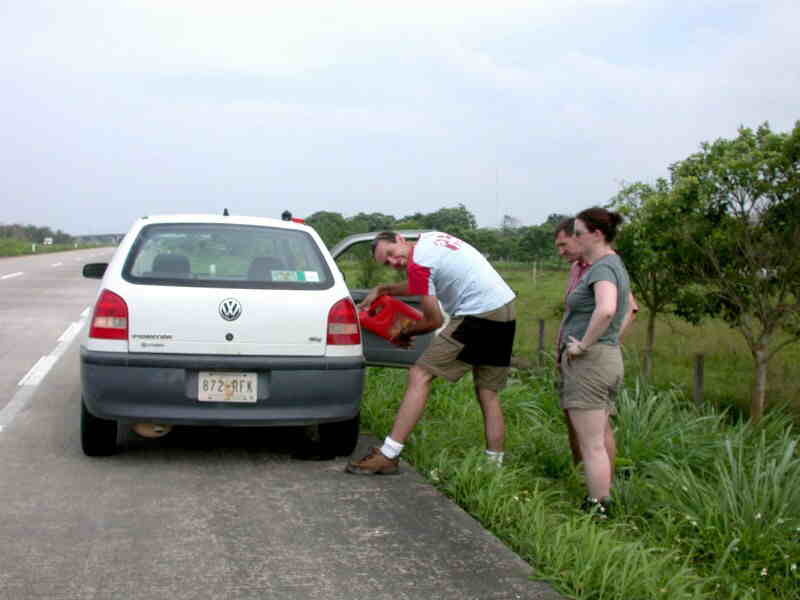 Considering the myriad of reasons that we may have to bug out or drive a significant distance with no notice, stopping for gas because you're car is sitting in your driveway with only fumes in the tank could be a fatal or more than inconvenient delay. Even if you keep a store of gas at home, you may not have time to transfer it to your car or BOV. Whenever my gas guage gets below 1/2 full, I stop for gas. Yep, I probably make twice as many stops that way, but I feel better knowing I have a full tank. And by the way, many fuel pumps fail because they get overworked by constantly pumping from a tank that's running close to empty. So, I keep my tank full. Just sayin'.